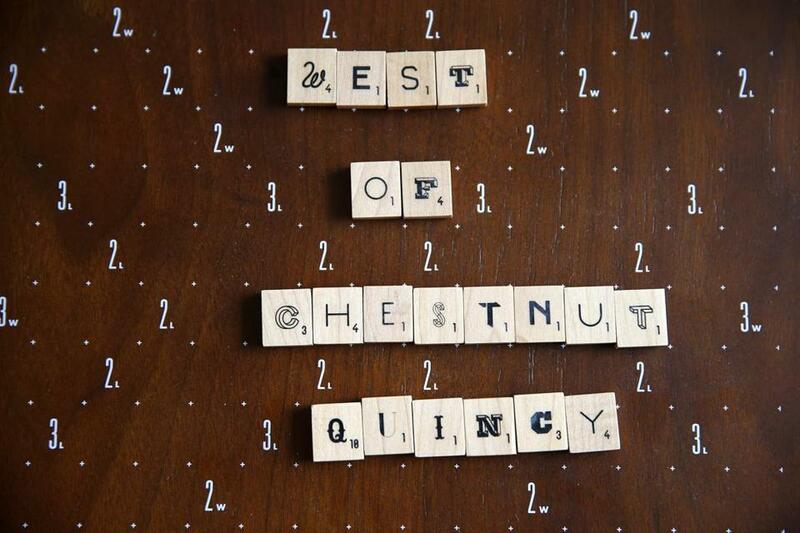 A scrabble board inside the model apartment at West of Chestnut, a new residential development in Quincy. In Quincy, the landscape is changing fast. 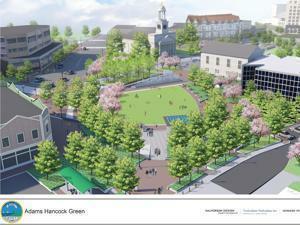 A rendering of the Hancock-Adams Green in Quincy Center. Large-scale buildings are going up, and sleek apartments with pricey rents now sit near MBTA stations. A new restaurant seems to open every week. And in one of the most historic patches of land in the country, between United First Parish Church and old City Hall, the Hancock-Adams Green is finally starting to look like a town common, and not a construction site. In the past three years, the city has seen $527 million in public and private investment, spread out over nearly 6,000 construction projects, according to building permit data. Developers are bullish on Quincy, and the city is taking advantage of its proximity to the Red Line to attract Boston commuters priced out of places like Cambridge and Somerville. But officials are finding that while many of their constituents are optimistic about new developments around town, they must balance their plans for the future with the interests of longtime residents. “I think people feel as if they’re being neglected in a city where they’ve lived and grown their families,” said Ian Cain, who represents Ward 3 on the City Council. There seems to be consensus among city boosters and some critics that it’s important to encourage a vibrant downtown and make Quincy an attractive place to live. An expanded tax base helps pay for schools and roads, important to residents here. But concerns about development seem to underscore City Council meetings, social media forums, and block club gatherings. Residents say that instead of a larger tax base to share the burden of paying for city services, taxes are rising sharply and traffic has never been worse. Mayor Thomas Koch of Quincy. Bringing in new developments has been on the agenda of Mayor Thomas Koch, who won reelection in 2015, and is the first mayor to serve in a newly adopted four-year term. Koch acknowledges that he has fielded calls from people upset with the city’s recent tax increase, $356.94 for the average homeowner, or an increase of 6.87 percent. Costs for budget items are rising, from rubbish pickup to public safety, he said. He hopes the Hancock-Adams Green will be finished in spring 2018, and said that work on the final phase will begin in the spring, with trees and plantings, and that statues of John Hancock and John Adams will anchor either side of it. “It brings you back to a town common, town green feel,” he said. Koch has also heard concerns about traffic, and said the city is looking at its traffic problems to see how they can be relieved. 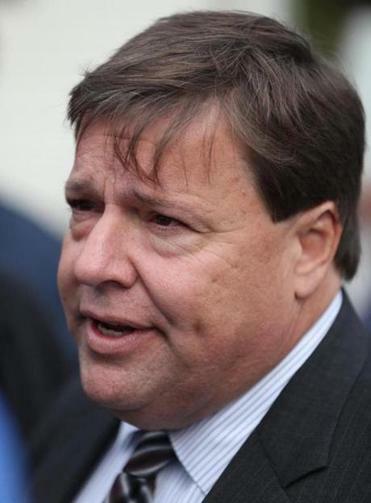 But he noted that traffic would be an issue in Quincy even without new development, because many commuters cut through Quincy on their way to someplace else. Like his colleagues, Councilor-at-large Noel DiBona said that he hears complaints about traffic, but that he believes the city must continue to develop or it will fall behind. 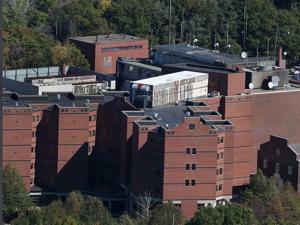 The mostly shuttered Quincy Medical Center is being considered for other medical uses. Quincy is benefitting from a vibrant economy in Boston, and many of the new developments are residential, though there are some new commercial projects coming online, including an expansion at Granite Telecommunications on Newport Street and a new commercial development at the Ross Garage site by FoxRock Properties. FoxRock also purchased Quincy Medical Center and plans to revitalize it with medical uses, though exact plans have not been disclosed. Some of the largest residential projects on the drawing board include Chestnut Place, a 15-story tower with 124 apartments and retail space in Quincy Center, and North Quincy Station, a redevelopment of the MBTA stop with approximately 600 apartments and 50,000 square feet of retail space. Also in Quincy Center, Cliveden Place will have 56 luxury condos in two buildings. The first phase is expected to open in the spring. Property manager Sam Diss posed for a portrait inside a common area at West of Chestnut, a new residential development in Quincy. “I think there’s a pent-up demand for Quincy,” said Kyle Warwick, a principal with RedGate, a real estate firm that advised the city on its redevelopment and was involved in the West of Chestnut project, which has 169 units of high-end apartments, as well as restaurant and retail space. While Quincy missed the last wave of development that benefitted places like South Boston, its proximity to the Red Line and commuter rail make it an attractive place, Warwick said. 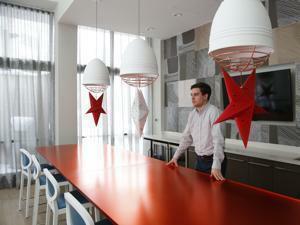 West of Chestnut apartments, which command rents of up to $2,920, are 75 percent rented. “We’re getting a high earner with an average age of 28 and 29 years old,” he said. 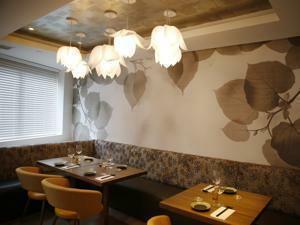 The tables are set for opening night inside Fuji, a new restaurant in Quincy. The commercial space, which includes KKatie’s Burger Bar and Fuji, part of JP Fuji Group, is completely leased, Warwick said. Like West of Chestnut, many of the new developments charge market rents, and there are concerns that as property values rise, middle-income earners will be priced out. “The community for the most part is very supportive of the downtown,” said the Rev. Sheldon Bennett, minister emeritus at United First Parish Church. But Bennett has raised concerns to councilors that downtown projects were made possible in part by infrastructure improvements paid for by taxpayers, whether it’s through state or federal grants, but will largely be occupied by people who can pay high rents. “To spend public money on an enclave for the affluent doesn’t seem to be fair or the best social policy,” Bennett said. There are efforts to build housing for middle-income earners in other neighborhoods. In Quincy Point, The Watson will have 140 market-rate and workforce housing units, bringing the percentage of subsidized units in the city to 9.9 percent. The $40 million project was welcomed by Ward 2 Councilor Brad Croall, who said the project is a good fit for the neighborhood. “I think it speaks to the people who are already here, not the people we’re trying to attract,” he said.